Another great Free People find (on sale HERE ) plus a statement necklace from Porter Lyons that is a hand-cast alligator tooth! I had a blast scouring the Porter Lyons website and reading up on the inspiration behind the fabulous designs and learning more about how these pieces help benefit various charities. You can learn more about Porter Lyons right HERE. I’ve been having such luck with Free People lately. 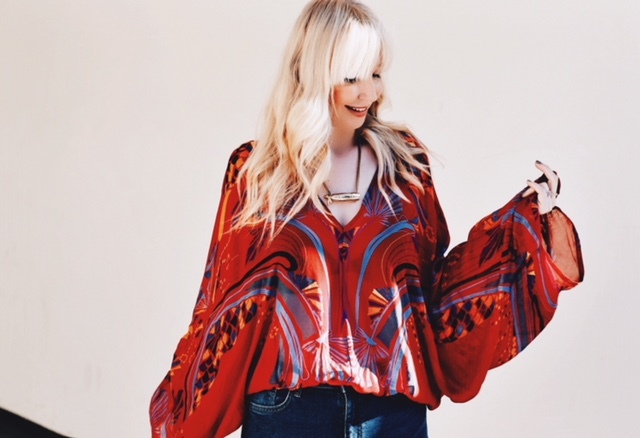 So many of my favorite, timeless tops are from Free People; I love the retro vibe and beautiful designs and how easy their pieces are to just ‘throw on and go’. I’m gearing up for my trip to the Bay Area to see my family for Thanksgiving! I can hardly wait to see everyone and eat all my favorite holiday dishes. I’m always most excited for the sides, especially the yams and also the green bean casserole. What are you favorite Thanksgiving foods?